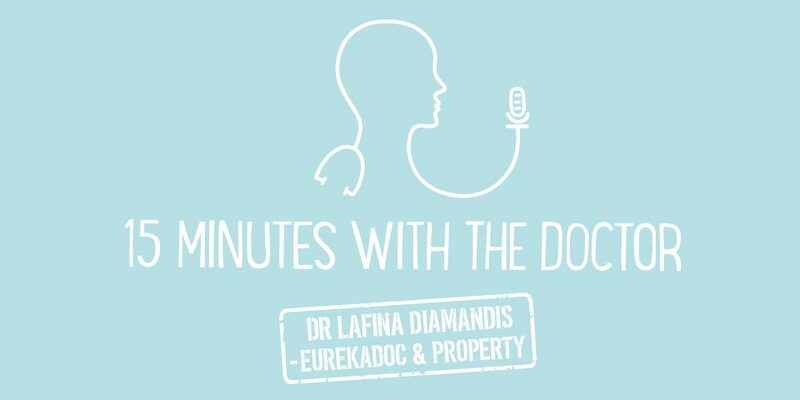 In this episode, we talk to Dr Rachel Thomas – A practicing doctor, healthcare innovator, author and speaker. Her first book was written as a medical student! Today, Rachel shares her perspectives on writing, the impact of technology on healthcare, and how she became the British Medical Association’s Young Author of the Year 2016. Dr Rachel Thomas has been interested in different areas of health and wellness for a long time. Her first degree was in Biomedical Engineering and Science at Sydney University and included a year at UC Berkeley. She was inspired by the infectious optimism for health-tech in California. After returning to Sydney, she worked at a company that used technology to create devices to help with respiratory problems. A foray into modeling saw Rachel move to London. After moving to UK, she studied Medicine. Rachel is interested in the role technology can play to help us with mental health and wellness. Rachel has also been involved in the development in healthcare apps, one as a consultant and one as a co-founder. One of the apps was aimed primarily at supporting carers and people affected by chronic conditions. Rachel is particularly interested in mental health optimisation – It’s beneficial for all of us to look at techniques that can protect mental health and help prevent mental health problems. From a general mental health point of view, she believes we live in a very interesting time. The information that we have to process on a daily basis has pretty much doubled in the last 20 years. Just looking at the average anxiety levels of people on the street, our general levels are basically equal to what psychiatric in-patients had in the 1950s. One side of the argument is that technology is creating a lot of these problems, but the flip side of the argument is that technology also holds a lot of potential for helping people with mental health problems. It is certainly opening up conversations and decreasing stigma. Rachel has written two books for medical students and doctors, both published by Wiley-Blackwell. The first book she actually proposed to the publisher whilst she was still a medical student. Practical Medical Procedures at a Glance and Medical School at a Glance are both aimed at making the lives of medical students and doctors easier. She believes she won the British Medical Association Young Author Award due to the innovative nature of her book and the fact that it was written as a medical student. Rachel discusses her publishing deals and how public speaking is a natural progression for her. It’s an opportunity to talk about key issues in health and technology. Rachel had an accident a year and a half ago which she found to be an interesting experience in many ways. She questioned parts of the patient experience, it sparked an interest in the importance of the mind and a focus on positivity in regards to healing. Rachel discusses the multiple avenues beyond only writing in books. For instance, Rachel writes for Huffington Post and the BMJ. When people want to get started in these areas, it’s great if they can get their writing out on other platforms that are accessible. It’s good practice in terms of the craft of writing and it allows you to reach a big audience by using some of these other avenues. Each of the sites will have different content that they are looking for and different style requirements, which impacts what work they accept and publish. If your ultimate goal is to have a book published, it can be helpful to know that you’ve got a body of work that you can show publishers and they can see that people are interested in reading your work.